With the launch of an exciting new online fashion marketplace – ChooseWomen.org – consumers can shop from over 70 top retailers including, Bobbi Brown, Spanx, Lilly Pulitzer, Coach, ASOS, Cynthia Rowley, Lulus, The Limited and Folica, while helping reduce poverty around the world. Initiated by the Women’s Entrepreneurship Day movement (WED), a percentage of every sale generated through ChooseWomen.org will fund essential microloans for impoverished women around the world to start their own businesses. Notable influencers delighted attendees with their insight, as they took part in panels throughout the day. With over 400 hundred women and men gathered together, the WED event was a powerful occasion to make life-changing connections, celebrate women in business, and learn from the greatest, brightest and most kind-hearted minds. From discussions about the importance of diversity in the corporate sector from HP’s Chief Marketing Officer Antonio Lucio and HSN, Inc.’s CEO Mindy Grossman, to advice from USA Network founder (and first woman to serve as network president in television history) Kay Koplovitz, who has invested over seven billion dollars in women-owned businesses, the atmosphere was charged with positive energy… all in the name of empowering women everywhere. A recent Kauffman Foundation report found that women make up 40.6 percent of new entrepreneurs; the highest level in two decades. They are also more likely to start businesses to capitalize on an opportunity, rather than from necessity, but the hurdles are many and large. Access to capital is a major challenge. Most women-owned businesses are underfunded, and loans tend to have a higher interest rate than for men. WED is positioned to play a decisive role in changing this dynamic and enabling more women to break new ground and spur economic growth in the marketplace. By uniting around common principles, WED celebrates the unwavering positives women bring to the global economy, empowering and supporting future generations of business leaders – all of which drives successful and confident women. 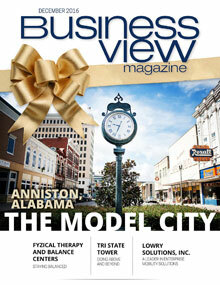 Welcome to Executive View – a refreshing new addition to Business View Magazine. Each month, we present original content, written in-house by BVM staff, on topics specially chosen to engage, enlighten, and inspire you. This feature was written by our Business View Associate Editor and Social Media Director, Lorie Steiner.